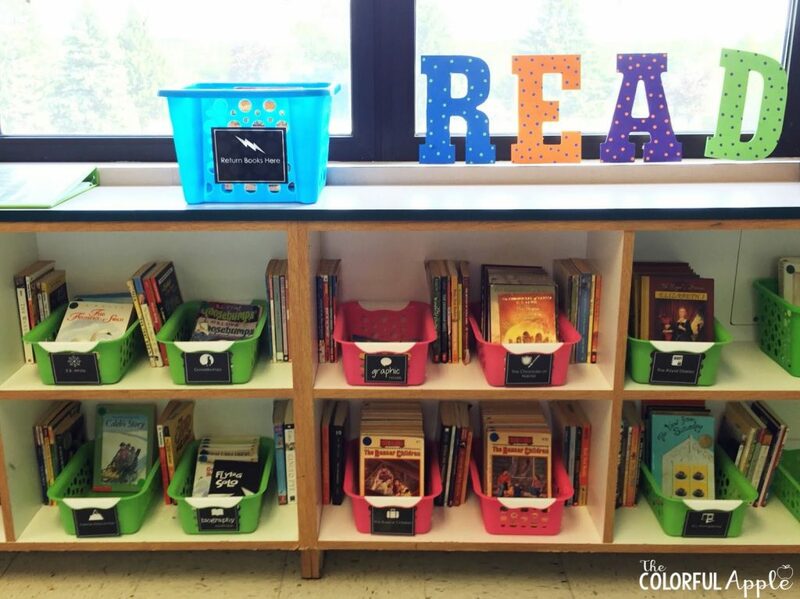 If you are anything like me, you love stocking your classroom bookshelves full of books for your students to explore. But, what about cleaning out your library? Hold up. We should be taking books OUT of our library? Yes, you read that right. 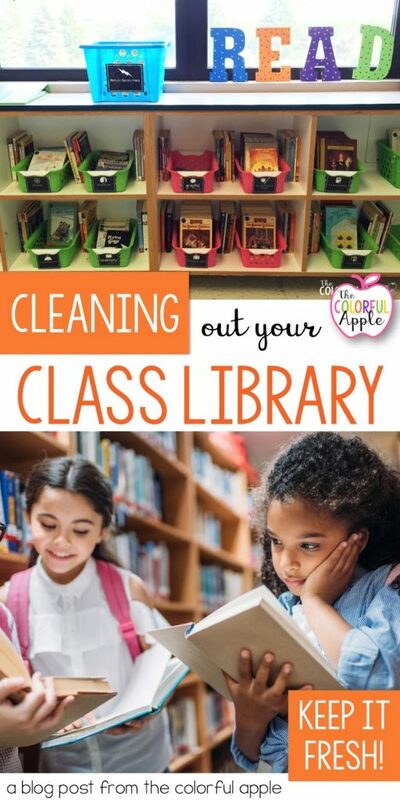 Removing books from a classroom library can be just as important as adding them. We want to make sure that our book bins are full of fresh books that interest our students. If the library is over-cluttered with books, it will make it less enticing for them. So what books should we take out of the library? Use the acronym, MUSTIE to guide you. Remove any books (especially nonfiction) that have information that is incorrect. I remember picking up a book in my 7th grade classroom and there was a section on “Will Man Ever Walk on the Moon?” It was 1997. Books that are falling apart are not enticing for students (or anyone for that matter)! If the binding is falling apart, the cover is ripped or there are pages missing, the book needs to be removed from the library. If it is well-loved for a reason, try finding a newer copy to add to the bookshelves. Oftentimes books are updated with a new edition and the old ones can be removed from your classroom library. Titles that lack wide appeal, literary merit or research value are considered trivial and shouldn’t be taking up a lot of room in your library. Additionally, trendy books such as tv shows or movies don’t have staying power on your bookshelves. Your students change each year and so do their interests. Keep quality books that are in good conditions, but reduce the number of copies. Pay attention to what your current students want to read. Use this free library order form to ask students what books they want to see on your classroom bookshelf! Pull out books that are not interesting to them. 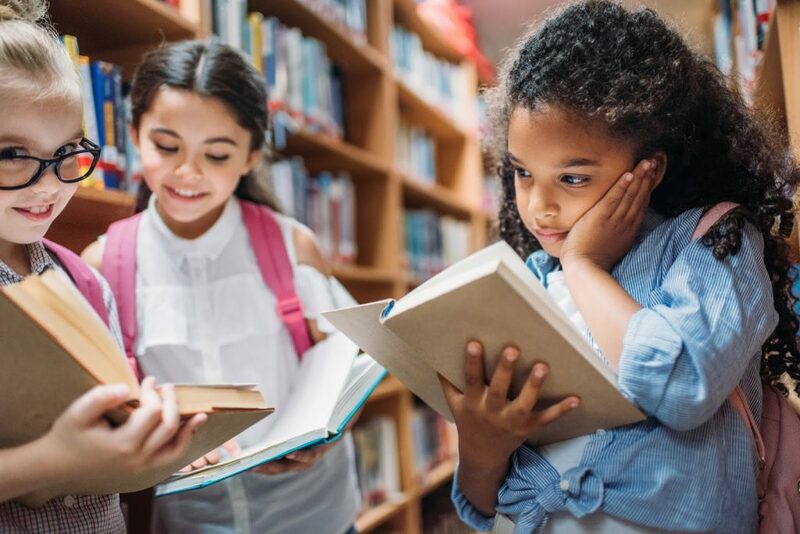 Almost any book in your class library can be found elsewhere (with the exception of student-published work or books that are personally dedicated to you or your class). If your students can find the book elsewhere, such as the school or local library, it is not a priority for your classroom library shelves. This applies to books in a series, especially. Add the first book or two of series in your classroom to entice students and then direct them elsewhere for the sequels. Cleaning out your library can be difficult! I mean, who wants to get rid of books? However, we need to remember that our libraries are created for our students to fall in love with books. We need to be able to give them access to the books that are right for them. If our shelves are full of books that are outdated, falling apart or uninteresting to our students, the library will lose its appeal. When I first started teaching, I went to ALL the book sales and anywhere I could find cheap books for my classroom library just to “fill-up” it up. Not a great idea! I had so many classroom library books that never even got touched. It took me a while to realized that I didn’t need to place every book that I found in my library. 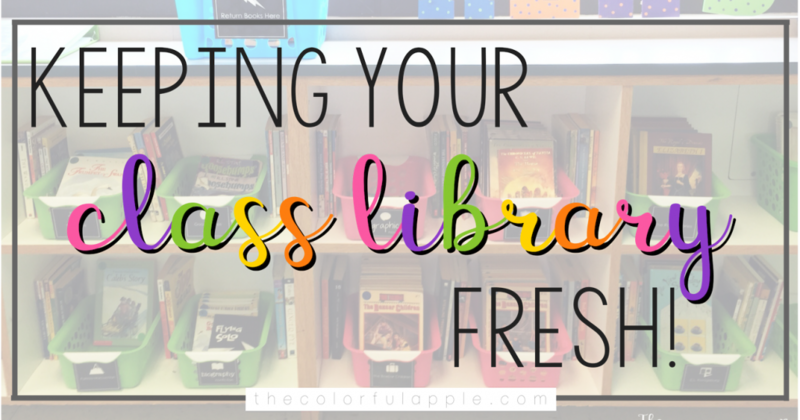 Following these tips for classroom library organization definitely helped me keep the bookshelves fresh and my students interested in reading. 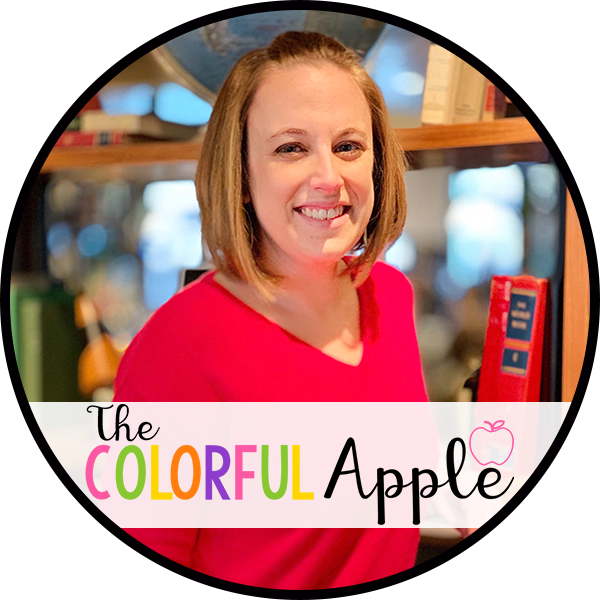 I challenge you to peruse your classroom library and see which books you can weed out. You (and your students) will be glad you did!